Kendall Coyne Schofield (#26), Berkshire ’11, is the first woman to participate in the NHL skills competition. Photo courtesy IIHF/Images on Ice. START PLANNING NOW FOR THE FUTURE OF FACILITIES DAKTRONICS SPORTS MARKETING: USE SPONSORSHIP REVENUE TO PURCHASE EQUIPMENT & GENERATE INCOME FOR YOUR ATHLETIC DEPARTMENT. Martha Brousseau Greenwich Academy Geoff Barlow Avon Old Farms School Rob Madden Taft School Tauni Butterfield Greens Farms Academy Communications Specialist Laurie Sachs The Rivers School “NEPSAC” and the NEPSAC logo are registered trademarks of the New England Preparatory School Athletic Council and may not be used or displayed without permission. New England Preparatory School Athletic Council qualifies as a public charity under Internal Revenue Code 501(c)(3). arch break is here! I hope you have a little well-deserved time off to get you ready for the final sprint to graduation day. It will be here before you know it. It’s always important to keep this in mind while we deal with snow and rain in the month of April. Best wishes on all that anticipated planning and negotiating! like your help in monitoring how the NEPSAC brand gets used. Frequently we are coming across publications that are using the NEPSAC name when they shouldn’t be. If you come across any publications that you suspect might be in the wrong on this please let us know about it. Also, sometimes we see league championships get announced as NEPSAC champions, or all-star selections mistakenly being misnamed. The spring, because of graduations and it being a shortened season, has fewer NEPSAC championship opportunities and I’m asking all of us to be mindful how we might label our end-of-theseason league winners. My second point I’d like to share with you in this publication is the NEPSAC’s updated Classification timeline. Mark Conroy is our NEPSAC Classifications Director and he has done a great deal of work communicating with league presidents and athletic director liaisons in putting together a document that more clearly defines how NEPSAC defines a school’s classification and the process for requesting a change in your school’s classification. The Executive Board does believe that this clearly defined timeline will make it easier for both league presidents and member schools to know further ahead how to plan for the upcoming season with their scheduling. You will find our document on page 4. It will be added to next year’s NEPSAC Directory and is currently on the NEPSAC website. Have a great spring! I hope the warm temperatures arrive early and give us a chance to get on the fields as we open back up later this month. NEPSAC Classification Coaches’ associations are responsible for classifying all member schools for purposes of tournament selection. Communication should follow the classification timeline outlined below. Exceptions to this must be cleared with the NEPSAC Director of Classification. Winter sports will be classified by October 15, spring sports by February 15 and fall sports by May 15. As the timeline indicates, if a school and a coaches’ association disagree regarding classification, the school must forward its appeal to the NEPSAC Executive Board for a binding decision. While enrollment is the primary factor considered in determining a school’s classification a number of factors can be considered to include league affiliation, strength of schedule, and the program’s history of competitiveness with their schedule. A school electing to re-classify itself in a sport must make a three year commitment to the new classification. Special circumstances related to classification: 1. Boys basketball — schools can self-select three choices: AAA, AA, or the Enrollment Division. In the Enrollment Division, schools are placed according to their enrollment. To accommodate enrollment fluctuations, there is a+/-10 between each class. If schools exceed the +/-10 bump for 3 consecutive years they must go up or down. 2. Boys hockey — all schools are considered Division 1. Each fall, the enrollment survey results will be applied to the process of dividing boys hockey into two even groups — large and small. When there is an odd number, the large group will absorb the extra school. Specialist and Director of Classification. This survey will be shared with all coach associations. Winter Coach Associations communicate classification (including changes) to NEPSAC Executive Board before Executive Board Meeting #1. Executive Board Meeting #1. Winter classification communicated to all schools following Executive Board Meeting #1 via NEPSAC website/email. Schools may appeal their classification to Coach Association and Executive Board by September 30. » Executive Board Meeting #2 — Winter Classification appeals considered, decided and communicated (early October). 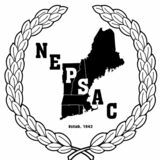 » Spring Coach Associations communicate classification (including changes) to NEPSAC Executive Board before Executive Board Meeting #4. Executive Board Meeting #4 via NEPSAC website. Schools may appeal their classification to Coach Association and Executive Board by January 30. » Executive Board Meeting #5 — Spring Classification appeals considered, decided and communicated. (including changes) to NEPSAC Executive Board (Board Classification Committee) by April 7. Fall classification communicated to all schools by April 15. Schools may appeal their classification to Coach Association and Executive Board by April 30. » Executive Board Meeting #6 — Fall Classification appeals considered, decided and communicated. KENDALL COYNE SCHOFIELD continued from page 1 skills competition, they knew she’d hold her own. Being the only woman to compete in the Chicago Pro Hockey League last summer, they knew first hand that she was able to stand up to the guys … and she did,” pointed out the former mentor of the 5-2, 125-pound forward. Coyne Schofield, who hails from Palos Heights, Ill., and who is married to Los Angeles Chargers offensive lineman Michael Schofield, turned her season in the Berkshires into a winter wonderland for Gappa, her teammates, and the multitude of fans who showed up to watch her. For her beleaguered opponents, however, not so much. In just 25 games, she chalked up 55 goals and 22 assists for 77 points and led the Bears to the quarterfinals of the NEPSAC tourney that season, where they lost to Lawrence Academy. “Kendall could have had a lot more (goals) that season,” said Gappa, “but she was a very unselfish player and got as much enjoyment setting up one of her teammates for a goal as she did scoring one herself. She always had a knack of knowing when to shoot and when to pass ... she helped everyone around her elevate their game. “As good as Kendall was, she was also one of the hardest working athletes I’ve ever been associated with,” added Gappa. “There are a lot of kids who are outstanding athletes but that’s as far as they take it, they never push themselves to improve … Kendall did. “When Kendall came to Berkshire, she was already classified as an elite skater,” continued Gappa, “so we did our best to get her the ice time she needed to maintain that status and help her prepare for the top-tier tournaments she was to compete in.” So, in addition to practices and games Coyne Schofield chalked up with the Berkshire girls’ team, no one on campus was ever surprised to see her practicing with either the boys’ varsity or junior varsity teams. “She would practice with whatever team she could line her schedule up with,” said Gappa. That extra skating time ended up proving invaluable for Coyne Schofield, as she and her US teammates journeyed to the IIHF World Championships in Zurich, Switzerland, during the holiday break that winter, where she produced four goals and a pair of assists to help her squad earn a gold medal. For as long as Coyne Schofield has been considered a “can’t miss” candidate, she nearly missed out on attending Berkshire School entirely. Plan A for her collegiate hockey destination was Harvard University. That trek was forced to take a detour, however, when Harvard informed her she needed to get her test scores up in order to make the grade. A year of prep school suddenly became Plan B and Berkshire became the answer. Then she made her way onto the collegiate level — at Northeastern University. Prior to attending Berkshire, Coyne Schofield earned her elite status in the sport while spending three seasons skating for the Chicago Mission U-19 team, which is a Tier 1, AAA level of the Youth National Program, which can be translated as the best-of-thebest. During her three years in the Mission program, she registered 254 points in 157 games. In her final season there, (2009-10) she collected 87 of those points on 53 goals and 34 assists. The NEPSAC SPECIAL NEWS is sponsored by Scoreboard Enterprises. Scoreboard Enterprises is a Sports Technology Company and exclusive Daktronics dealer in the New England area. We provide, install and service scoreboards, video displays and audio systems designed specifically for athletic facilities. Contact us for more information at www.scoreboardenterprises. com; 274 Fruit Street Mansfield, MA 02048, 508-339-8113. NEPSAC Newsbits NEPSAC Calendar APRIL 2019 2 | District IV meeting Choate Rosemary Hall, 11:00 a.m. 4 | Middle Schools meeting Park School, 10:00 a.m. 23 | District III meeting Belmont Hill School, 11:00 a.m.
MAY 2019 2 | District II meeting New Hampton School, 9:00 a.m. 7 | Executive Board Bancroft School, 9:15 a.m. 20 | District I meeting Hebron Academy, 10:00 a.m.
he National High School Strength Coaches Association (NHSSCA) will be having their Northeast Regional Conference April 5-6 at The Noble and Greenough School. Past conferences have shown to be great learning and networking opportunities for any strength & conditioning coaches, teachers, sports coaches, and others who find themselves working with athletes in a weight room setting. You can contact Kevin O’Neill kevin_oneill@nobles.edu with any questions. Help Wanted! Do you have an Archivist at your school? NEPSAC is looking to work with our member schools’ archivists to create a “NEPSAC Archives” resource page on our website. Please have them contact us at communications@nepsac.org. Does your school have a radio station or perhaps a podcast that is related to athletics? Does your school have a live stream channel or an online newspaper? Please let us know that information so we can correctly post it on our Media Outlets page here: https://www.nepsac.org/page/3420 Does your school have a student or a group of students who create videos? NEPSAC is looking to have some 30 second promo and PSA videos created and would like to showcase our own talented students.Please have them or their advisor contact us at communications@nepsac.org. EPSAC has begun to move forward in complying with the IRS guidelines for non-profit organizations as it relates to our Coaches’ Association’s finances. Coaches’ Associations: please remember to submit your Financial Report for the 2018–2019 season. Fall Coaches’ Associations: thanks for those who have already submitted their reports. If you have not yet, please do so as soon as possible. Winter Coaches’ Associations: expect to receive an email in mid-April explaining the process and format for this report. The deadline will be June 1, 2019. NEPSAC has started the process of transferring our Coaches’ Association’s banking to TD Bank falling under the NEPSAC umbrella. If any association has questions about this process please be in touch. Reminder: If there are changes to any Coaches’ Association dues for 2019–2020 season please submit changes to me by May 1, 2019. COMMUNICATIONS NOTE The NEPSAC AD email list is updated throughout the year. Please remember to check for the most recent version before sending an email blast. You will find it in the Athletic Directors section of the NEPSAC website. his sun-drenched group from a 1940 championship ski team poses in The Bowl at Tuckerman’s Ravine. Note the square-toed leather boots secured to the skis with a leather toe-strap and cable binding at the heel. An ‘Amstutz’ spring secured to the aker and the rear of the ski allowed the heel of the binding to be loosened and lift for climbing in the Nordic fashion before the spring cable was locked to secure the heel for the descent; the “AT” binding of 75 year ago! What school did these skiers represent? Athletic Scheduler High Street Solutions https://highstreetsolutions.weebly.com/ Mark B Perkins markbperkins@gmail.com 802.457.7383 Key Features  Automatically Calculate Logistics  No re-typing - Rollover for Seasons  Create and Print and Email o Contracts o Master Schedules o Change Notices o Weekly Reminders  Integrate Google Calendar  Manage Transportation  And, much, much, more! Do you need a handbook, directory or magazine? How about a postcard, invitation or stationery? Or a program brochure, fundraising appeal or search piece? Are you overwhelmed? Do you even know where to start? Let me help. I have over 25 years of experience with school publications and printing production, and I am accustomed to tight deadlines and equally tight budgets. I can help you figure out what you want, pull the pieces together and deliver a final product you will be thrilled to share with parents and alumni. Check out the NEPSAC Online store for all of your NEPSAC gear! HEADWAY FOUNDATION continued from page 10 sports, from the 2009-2010 school year, to the 2013-2014 school year. That data was collected and reviewed by the NCAA Injury Surveillance Program as well as calculated to determine national estimates. There were 1,670 reported sports-related concussions, with an estimate of 10,560 nationally each year. Of the 25 sports examined, men’s ice hockey had the second largest concussion rate at 7.91 concussions per 10,000 exposures, while women’s ice hockey was third at 7.50. Men’s wrestling (10.92) was first, while, surprisingly, football was fourth at 6.71. Headway’s founders haven’t attempted to achieve these goals by themselves, however. The foundation has stacked the deck against this injury by recruiting numerous people for its board positions who have run the gamut of experience on concussions … from those who have suffered them to those who treat them. Among those who have joined the fight are four board members who, like Decker and Pucci, hail from NEPSAC schools. Those four are: Zac Hamilton (Westminster), Nic Pierog (Canterbury), Alexis Banquer (Kent) and Liz Mullarney (Covenant of the Sacred Heart). “I never really thought much about concussions until I was diagnosed with one and it pretty much turned my life upside down,” confessed Hamilton, who, as a goalie at Colgate University, admitted “I started getting concussion symptoms before I ever really suffered any severe hits. I wasn’t very big (5-11), so I think those smaller hits I received here and there throughout my career finally caught up with me in January of my sophomore year. “It took me four or five months to get back on the ice but I had to sit out my entire junior season before I adequately recovered,” added Hamilton, whose efforts to make it back and his performance once he returned for his senior year resulted in him receiving Colgate’s Coaches Award as well as being named to the ECAC All-Academic Team for a second time. Hamilton highlighted a four-year prep career at Westminster by being elected team captain his senior year and followed that up by being named the team’s MVP after posting a stingy .911 save percentage. “I got involved with Headway my junior year at Colgate … during its first ECAC Concussion Awareness Weekend,” said Hamilton. “Being sidelined with a concussion, my coach asked me if I’d like to be the team representative and I’ve been working with Headway ever since. It’s really proven to be a great opportunity for me … I was able to relate to my teammates what I’d been through as far as concussions and rehabilitation were concerned. ” Hamilton, who majored in cellular neuroscience and currently works as a health care consultant in Boston, serves as director of Headway’s media relations and spends much of his free time talking with and offering support to other athletes who are suffering from concussions and their accompanying side effects. .BUSJY'JUOFTT  7BSTJUZ%PVCMF)BMG3BDL Special "Make a Strength & Condition room over night"
Thayer Baseball Head Coach Rick Foresteire P ’19, ’21. host of players who’ve succeeded at the collegiate level. The Melrose native was quick to praise his players for their work on and off the field. He also credited his coaching staffs throughout the years. “I was blessed to have unbelievable assistant coaches,” he said. Foresteire added that, as a young coach at BB&N, he received great support from Thayer’s coach at the time, Don Badger ’63 P ’98, ’01. Foresteire said he received a solid education in baseball fundamentals from Jack Etter, his coach at BB&N, and has tried to pass those lessons on. He also singled out his college coach, Pete Varney, a legendary figure at Brandeis after his years as a legendary two-sport athlete (Football, Baseball) at Harvard University. According to the MBCA website, Foresteire is only the fifth private school coach to earn Hall-of-Fame honors and just the second coach from the ISL. The name of the first ISL inductee, so honored in 1992, should ring a bell: Thayer Academy’s Arthur Valicenti ’51 P ’75, ’75, ’77 GP ’10, ’14. THERE ARE STUDENTS AT YOUR SCHOOL THAT HAVE A HEART DEFECT AND DON’T KNOW IT. LET US FIND THEM. Mass Heartbeat is committed to bringing affordable, efficient, and non-invasive ECG screenings directly to your school. The screening takes less than 5 minutes, and could detect a fatal heart issue student athletes you may otherwise never know existed. We can screen 250+ students/athletes during a given school day. restlers Chris Perry and Luca Errico both earned All-American status, as Tim Ostrye was honored as the National Coach of the Year at the 2019 National Prep Wrestling Championships, hosted by Lehigh University in Bethlehem, Pa. Perry (126-lb.) and Errico (138-lb.) both posted fifth-place finishes at the national showcase. As a team, the five-member Brunswick contingent collected 37 team points, good for 21st-place out of 122 teams at the 84th meeting of the top prep school wrestlers from across the country. National powerhouse Blair Academy won its fifth-straight team title with 354 points, collecting nine of 14 individual crowns. Blair has won 16 out of the last 17 Prep Nationals. Ostrye, the longtime Brunswick wrestling coach, was recognized as the National Head Coach of the Year in front of the Stabler Arena crowd prior to the start of the championship round. A week earlier, Ostrye was tabbed by the NEPSAC coaches as the Coach of the Year. This year the Bruins posted an 18-1 record, won both the FAA and WNEISWA tournaments and finished fifth at the NEPSAC tournament. Perry posts his second-straight All-American finish, following a seventh-place finish in 2018 at 113 pounds. This year, Perry, the eighth-seed at 126, won his opening two matches, but fell to the top-seed in the quarterfinals. Perry battled through the consolation round, knocking off the sixthseed and fifth-seed, before a setback against the 10th-seeded grappler in the consolation semifinals. In the battle for fifth place, Perry picked up a 4-2 win over the fourth-seeded wrestler. Over seven matches, Perry faced six ranked wrestlers and went 5-2 overall. Errico, is now the seventh AllAmerican for the Bruins and the second one in his family to earn the award while at Brunswick. Brother Jon Errico ’16 was a two-time AllAmerican for the Bruins. Following an opening round bye, Errico, holding a sterling 44-0 mark as the seventhseed at 138, National Coach of the Year Tim Ostrye topped the 10th- was honored before the national seed, but dropped championships. a 10-7 decision to the second-seeded wrestler in the quarterfinals. Errico followed a similar path as Perry in the consolation round, knocking off two ranked wrestlers before a setback. Errico topped the 12thseed and the eighth-seeded opponents, while the fourth-seeded wrestler bested Errico in the consolation finals. Errico picked up a 6-5 win over the fifth-seed to earn a fifth-place finish. Against six ranked opponents, Errico posted a 4-2 mark. Making the trip with Perry and Errico were three other Bruins. Returning Nationals competitors Tim Saunders and Nick Bell joined first-timer Jackson Wolfram on the Lehigh University mats. In the double-elimination tourney, Wolfram (113-lb.) dropped his first two matches, while Bell (145-lb.) went 2-2 on the opening day. Saunders, ranked fifth at 195 pounds, won his opening match, dropped the quarterfinal bout and picked up a pair of wins in the consolation round. For the second-straight year, Saunders reached the Round of 12, also known as “the blood round”, falling one win short of a top-eight finish and All-American status. In his final match, Saunders lost to the seventh-seed, 3-1. For the tournament, Saunders held a 3-2 mark. Final season records for the Bruins at Prep Nationals: Errico (48-2), Perry (42-4), Bell (34-10), Tim Saunders (41-5), Jackson Wolfram (28-12). The Brunswick School wrestling staff. Athletic Director and Head Girls’ Varsity Basketball Coach Tara Brisson celebrated her 200th win in February, as the RAMS secured a W against Vermont Academy. This momentous occasion comes on the heels of Brisson being inducted into the Bishop Grimes High School Hall of Fame in January. Brisson has coached girls’ varsity basketball since joining Tilton in 2009 and took on the role of Athletic Director in 2014. In her time as head coach, she has led the RAMS to nine consecutive Lakes Region Championships. Four of those seasons ended with Tilton also being named NEPSAC Class B Champions. She celebrated her 100th win in 2014. Hailing from Syracuse, New York, Brisson graduated from Hobart and William Smith College where she played on the women’s basketball team for all four years. She went on to secure a masters in athletic administration from Plymouth State University. She served in assistant coach positions at Williams College and Saint Anselm University before becoming a RAM. Congratulations to Tara Brisson for continued success on the court and beyond! Tilton School’s Girls’ Varsity Basketball coach Tara Brisson and her team celebrating her 200th win. The St. Andrew’s Director of Athletics and Boys Basketball coach had his 500th career win on December 12 in a 75-61 win at home over Phillips Andover. Coach Hart’s teams have won 7 New England Championships, have been New England Finalists three times, and have made 14 New England Final Four appearances in his 25 years at St. Andrew’s. Coach Hart was honored by his school on February 12 with the dedication of the court in Sage Gymnasium in his honor. St. Andrew’s won the Class AA NEPSAC Championship on March 3. With the boys’ basketball 68-65 win over St. Thomas More on Feb. 6, NMH Head Coach John Carroll ’89 became the winningest coach in NMH basketball history with 301 wins, passing NMH Hall of Famer Bill Batty ’59. John has been a part of 428 (and counting) wins for NMH basketball as a player, assistant coach, and head coach. His team won the NEPSAC Class AAA Championship on March 3, and is now competing for the National Prep Championship title. Don’t just play to win. Plan to win. Serious athletes need their body and the brain well fueled if they expect to win on the field and in the classroom. Sign your team up today. We deliver on-the-go meals for serious athletes. SportsGrub™ makes planning pre- and post-game/ practice meals simple, convenient and nutritious. Select from our large selection of signature meals and performance snacks. Our meals are always made with wholesome and fresh ingredients and enhance performance and promote success on and off the field. SportsGrub conveniently delivers onsite whether you are playing at home or on the road. Contact us and we’ll be in touch to set up your profile in our system. Simply download the SportsGrub™ app, select your team or organization, your event and place your order. We’ll deliver a thermal cooled team box to your location with individually labeled meals. Create your own team menu. Choose items from our Master Menu or tell us what you’d like. Your athletes will only see what was created for your event/game. We can also set a per person purchase limit if you would like. We know how busy you and your athletes are. We won’t forget! SportsGrub™ will make sure everybody places an order prior to your event. Our app will send out reminders to team or organization members who have not placed an order as the deadline nears. Select from our signature meals and performance snacks right from your mobile device. n Monday evening in the Tilton School gymnasium the Boys’ Prep Basketball Team played their 33rd game of the season and came away with a victory. The final score of the game was 93–55. The gym was full of Tilton students and community members, and not surprisingly, they were rooting for the home team. The game ended, the teams and coaches shook hands, and the boys headed to their respective locker rooms. No one would expect that anything remarkable had just taken place on that court. As Jason Smith attempted to lead his players out the back door to the waiting Brewster vans, Athletic Director Matt Lawlor ushered them into a small room off the court to let them know that something exceptional did happen, and they were a part of it. Their coach Jason Smith had just celebrated his 500th win Brewster assistant coach Josh Lee (left), the 2015 NEPSAC Championship team, and at Brewster — something that has never Coach Jason Smith. been accomplished in the school’s history. The path that led Jason Smith to this accomplishment character and drive. Al also highlighted Jason’s deep humility, began in 2000 when he arrived at Brewster as an instructional which complements his talent as a coach so impressively and support teacher and basketball coach. He joined the admission helps to engender the enduring loyalty and respect his players team after that year and has been involved in recruiting and have for him as a coach and a mentor. enrolling new students for the past eighteen years. On Monday In typical Jason Smith fashion, he allowed only a few night former assistant coach and close friend, Al Simoes, quick minutes for pictures and handshakes, hugged his proud shared some personal reflections on and praise for Jason. Al parents, and then hustled his players out to the vans, reminding talked about the extraordinary amount of time Jason invests them about study hall. He then got behind the wheel and drove to find the right student-athletes for Brewster, all young men of back to Wolfeboro to Elizabeth and Jonah waiting at home. On Saturday the team will travel to Vermont Academy to seek their eighth Lakes Region banner. It will be Jason’s 624th game with Brewster Academy. Then it is on to the NEPSAC quarterfinals. And while these events are unfolding, the NCAA March Madness will begin, and commentators will inevitably remark on Brewster Academy, acknowledging implicitly all of what Jason Smith has done for the Academy, for basketball, and for the young men lucky enough to play for him. Many people would use words such “dynasty” and “legacy” to describe what Smith has built at Brewster. However, I think Congratulations to the Jason would characterize his success by talking about the relationships he has forged and sustained during the past 19 Winter 2018–2019 years. No one arrives at his 500th victory without caring deeply All-NEPSAC athletes! about winning. However, what distinguishes Coach Smith is how he has gone about his winning — with discipline, principle, Visit www.nepsac.org for the list humility, and care for all involved in the program. He is a model of excellence for all of us at Brewster. ast August Dr. Gilles Chosson, Director of Global Studies at King School and Micah Hauben, Dean of Athletics introduced the interdisciplinary program and King School China trip. The trip included Global Education students and students studying Mandarin from March 7–March 17 in Shanghai, Chengdu, Xi’an and Beijing, and also featured basketball players in all grades from the Upper School Boys Basketball Program. The Vikings played four exhibition basketball games during the trip, with one game in Shanghai and three taking place in Beijing. After taking in a Chinese Basketball Association between the Shanghai Sharks and Shenzhen Leopards on Thursday and touring Shanghai on Friday, the Vikings will faced Shanghai High School International Division (SHSID). The team traveled to Chengdu and Xi’an, before getting ready for the next game on Monday, March 11 in Beijing at the Western Academy against the Beijing Falcons. Tuesday, March 12 had the team touring the Beijing Olympic Stadium and Aquatics Center and Summer Palace prior to going up against Jr. NBA China Zhongguancun Middle School. Time in Shanghai included a full morning of joint practice and drills between King School players and the SHSID Stallions, led by SHSID head coach Jayme Lawman and King head coach Nate Jean-Baptiste. The drills were not only designed to engrain the fundamentals of the game into the players’ workout but also provided the chance for the two teams to come together on the court to help each other get better and the Vikings prep for their next game on Monday in Beijing against the Beijing Falcons. After practice, all players and coaches enjoyed a Shaanxi cuisine lunch thanks to the hospitality of Coach Lawman and the Stallions! On Wednesday, the team visited the Great Wall of China, were guests at the NBA China Office, and were hosted at the NBA Flagship Store in Beijing on Friday. Day 10 of the King China Trip had a “friendship” basketball game scheduled between the Vikings and Jianhua School in Beijing before closing out the exhibition games with a banquet and celebration. For a full recap of the trip, be sure to visit the King School website. Ask the students on this King School China trip about the one thing they are most excited to see or do while in China, and the most popular response is the Great Wall of China. That dream became a reality on Day 8 as the tour continued with a group excursion to the Wall (More than 1800 steps in the section of the wall the students visited), language immersion program at Beijing Jianhua School, a Peking Duck dinner, and some shopping at the Silk Street market highlighted the day in Beijing! ASK US ABOUT OUR NEW MAINTENANCE PACKAGE DEALS!